12 Goodie bags in red, green and pink . 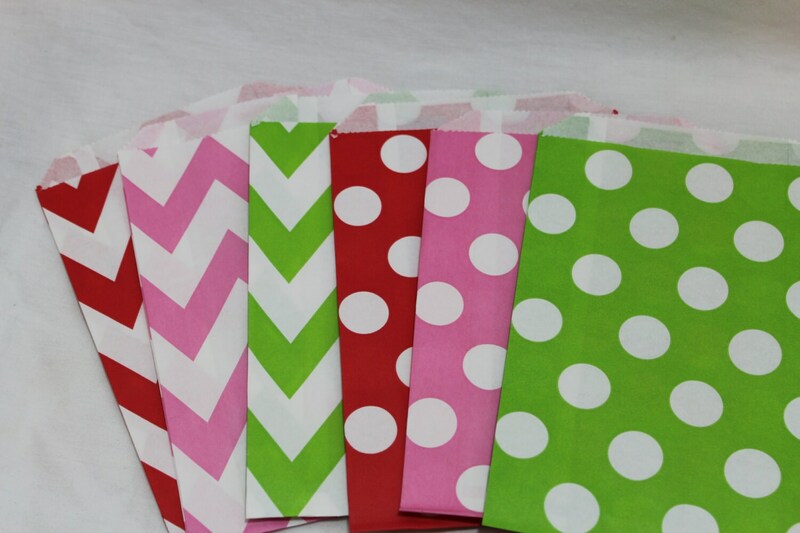 You will receive 2 of each color in each pattern, polka dot and chevron pattern.These measure 5x7. 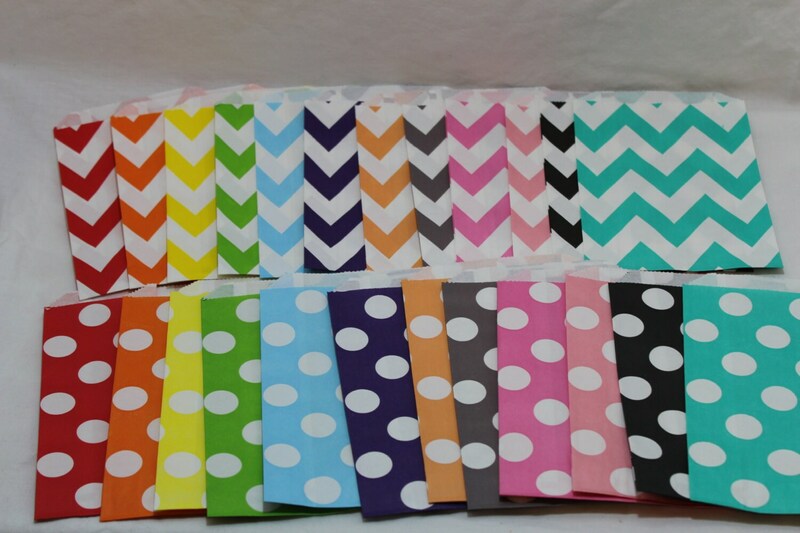 Check out my shop for other great party supplies! I love to combine shipping and I also LOVE custom orders, so if you want something made please convo me!